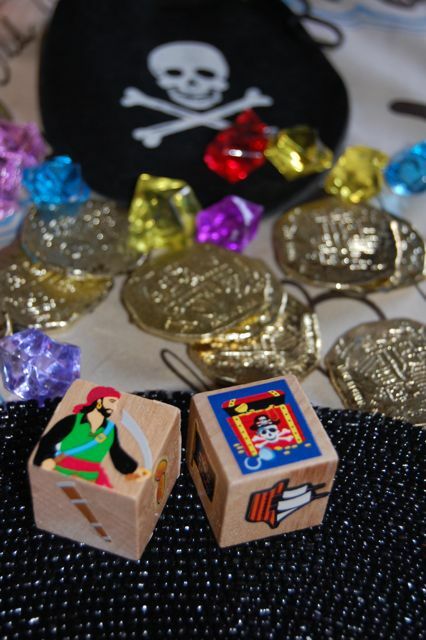 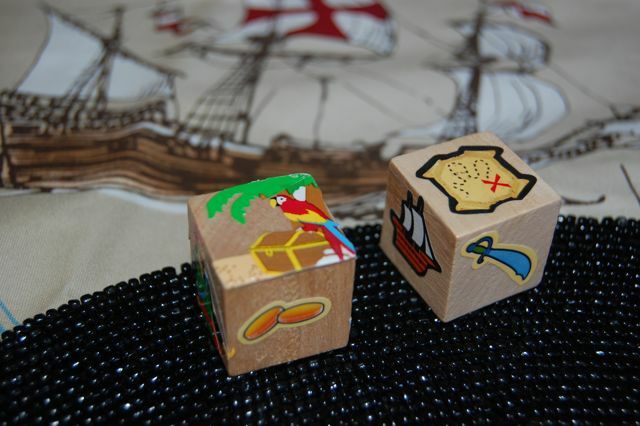 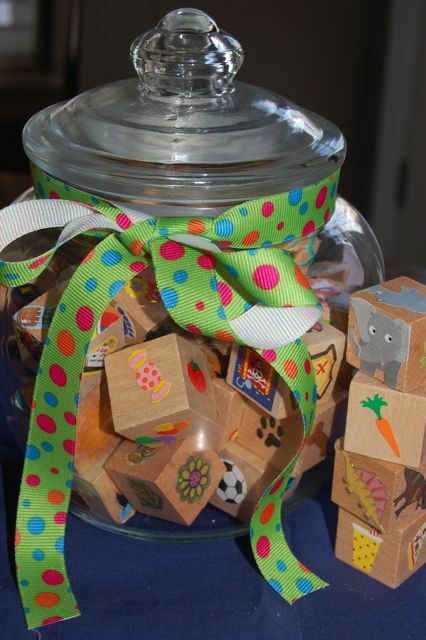 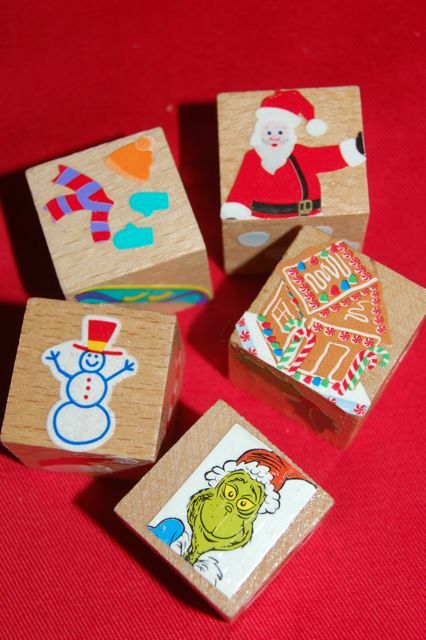 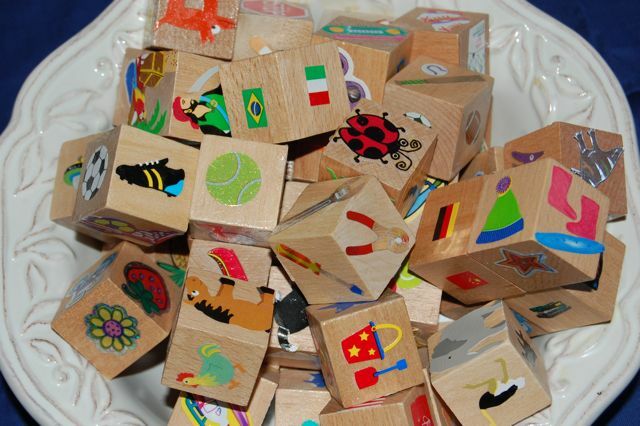 Make Imagination Dice with various themes. 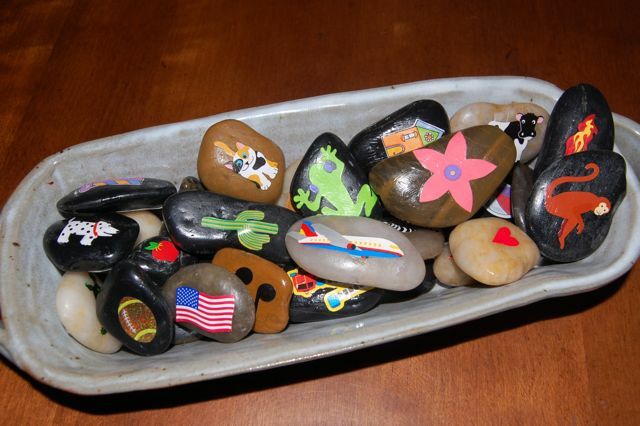 Use stone and rocks to create Imagination Stones. Place an image on each side of the stone.